Thanks to demand from the lovely BBC Radio 4 audience Series 2 of Alfie Moore’s hit comedy show ‘IT’S A FAIR COP’ will be repeated from 15th November 2017 at 11.30am. Grab a coffee, metaphorically put your feet up, and exercise your laughter muscles as you consider what you would have done in Alfie’s position. 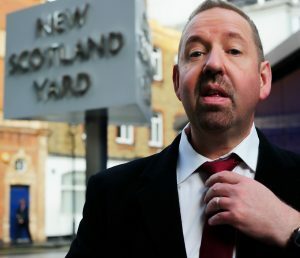 In Episode 1, ‘Gobby Nobby’, Alfie has his audience join him for an evening on Public Order Patrol as he asks whether we think ALL crime should be reported and investigated. You may be surprised at the result! If you miss the live broadcast the episodes will also be available on the BBC iPlayer. In the meantime you can listen to a couple of hilarious excepts from Series 3 of ‘IT’S A FAIR COP’ to whet your appetite! « Radio 4 still wants Moore!